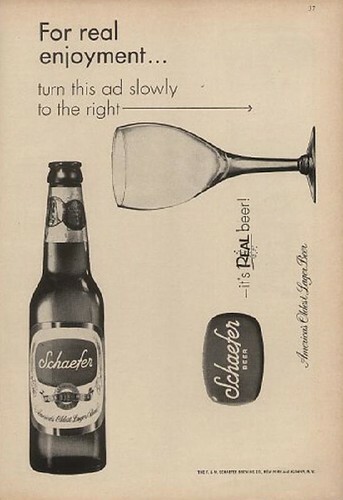 Monday’s ad is a clever one for Schaefer showing a bottle of Schaefer beer and a beer glass at right angles, with the instructions “For real enjoyment … turn this ad slowly to the right.” Which, if real, would pour the beer into the glass. 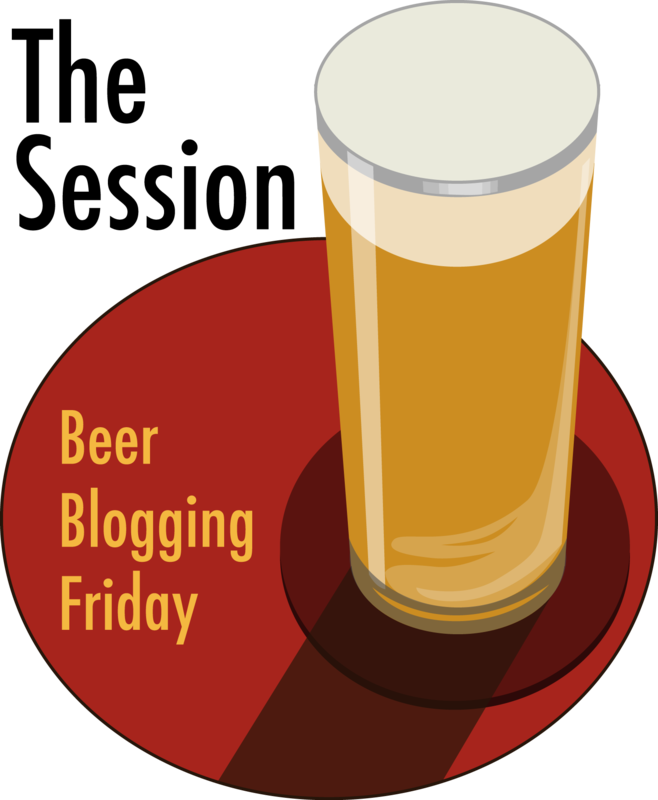 It’s also interesting that Schaefer is positioning themselves by saying “it’s real beer.” The ad isn’t dated, so I don’t know when it was from or who they would have been subtly targeting as being not real beer with that statement. Judging by the label design, the ad is from the late 50’s.